Home » Product News » NEW Medium Size Playhouses! We are delighted to announce the launch of our NEW medium sized playhouses. The new medium size is available in the Rose Cottage & Tea Shop, Enchanted Garden & Fairy Woodland & Fire Engine playhouse designs. 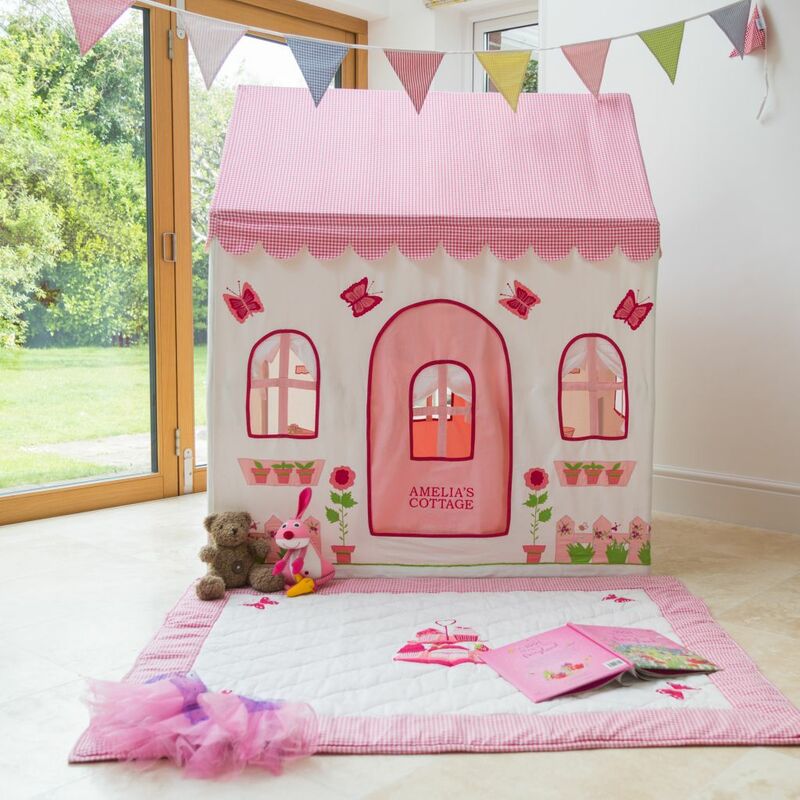 Co-ordinating floor quilts are available and these fit the footprint of the playhouse so give a nice cosy place to play, particularly useful for rooms with stone or wooden floors. 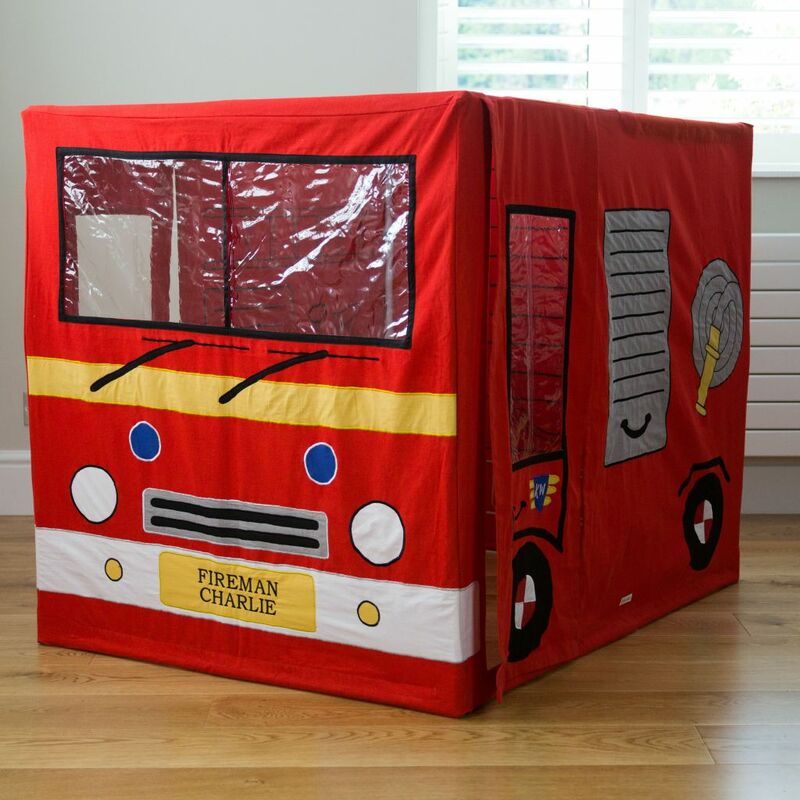 Please note there isn’t a co-ordinating floor quilt for the fire engine play tent. This new medium size is a perfect in between size! All our playhouses are ideal from when your little ones start tottering around. The younger the child the more fun they will get out of it! Having spoken to many customers the feedback is the way children interact with the playhouses changes as the child develops. At first it is a place to play hide and seek and somewhere children love playing in! Just opening and closing the curtains can keep a 3 year old entertained for hours! Play then progresses to interactive role play and pretend play where imaginations are set free. We have designed our playhouses to be dual themed to really fuel hours of imaginative play. As the child gets older they become a favourite place to take their friends to play and they also provide somewhere the child can take some time out, relax, read and just enjoy being on their own. Please do share any experiences you have with us @mykiddiewinkles We love hearing how children interact with our play tents. 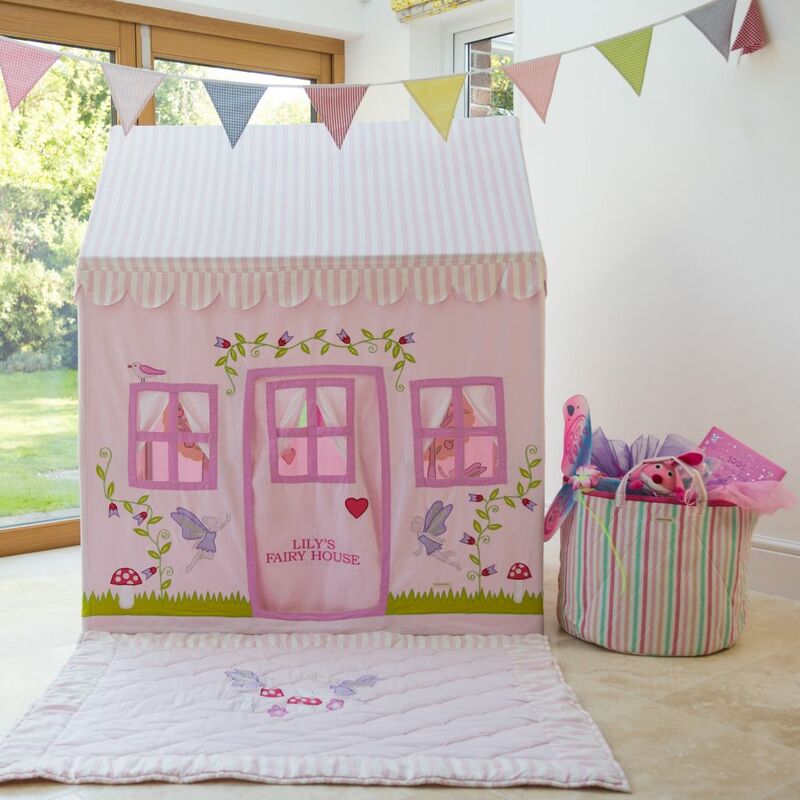 To make the playhouse extra special they can all be personalised with a child’s name or phrase of your choice beautifully embroidered onto them such as Matilda’s Cottage, Fireman Charlie or Lily’s Fairy House. We really want our play tents to become a family heirloom and be part of a childhood memory that last a lifetime! *CHRISTMAS SPECIAL OFFER* We will be giving away a FREE toy basket worth RRP £25 with every purchase of a playhouse in November and December*. Offer expires 31st December 2017. Don’t forget to subscribe to our mailing list for 15% off your first order.